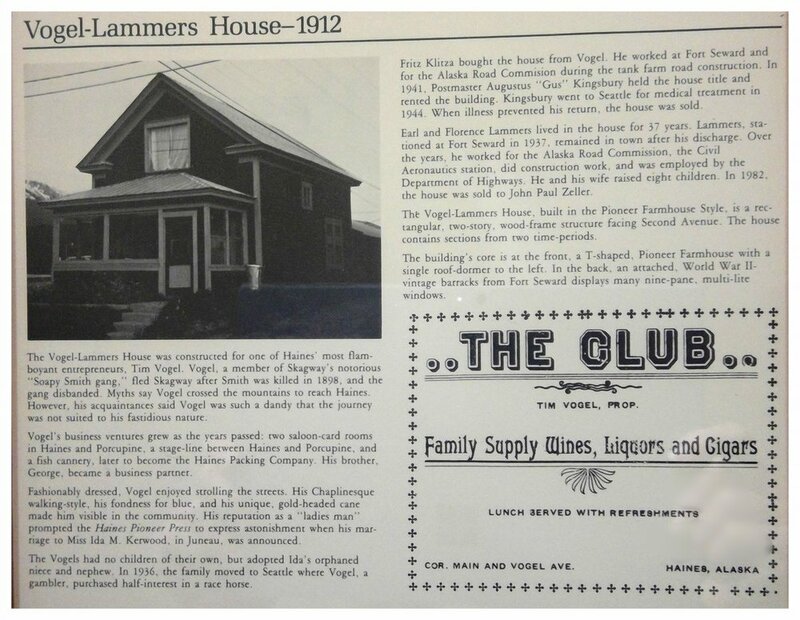 In 1912, The Vogel House was constructed for one of Haines most flamboyant entrepreneurs, Tim Vogel. Vogel was a member of Skagway’s notorious Soapy Smith Gang and fled Skagway after Smith’s death. Known for being fashionable dressed and strolling the streets in his Chaplinesque style, Vogel had quite the reputation as a “ladies man.” Vogel owned the Haines Hotel and The Club Saloon in Haines, he was a gambler, gold miner and entrepreneur. The Vogel house is built in the Pioneer Farmhouse Style with the back wing as an attached World War II vintage barracks. The Lammer family purchased the house from Vogel and lived here for 37 years raising 8 kids. The Summer family purchased the home and started running it as a bed and breakfast, The Summer Inn. Today, with new owner Leslie Ross, further renovations and upgrades, it has become The Inn at Haines. They have been transforming and renovating the home. The crew peeled back layers to reveal the original 1912 beauty but have also brought in a fresh new look with new beds, good wifi, wonderful accents, a garden and a rotation of art. Innkeeper Leslie Ross, purchased the Summer Inn in March 2017 with her daughter. The Inn, and the owners, will welcome you with a passion for travel and a celebration of art and adventure. They live upstairs in a private area but share the main house and kitchen with guests. Welcome to our home, a place to rest your head on your ventures.